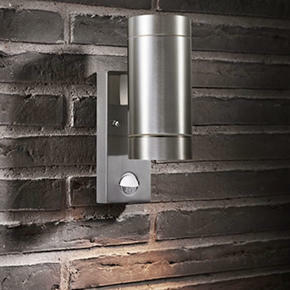 Our Tin Wall Sensor Light offers a simple, urban approach to security lights for doorways, walls and entrances. Sometimes subtlety trumps extravagance and for an extremely modern look these adjustable PIR sensor lights can cast light both up and down the wall. Outdoor lights, particularly those with clear glass, demand a pretty lamp. These are just the ticket and come in all shapes, sizes and wattages. Voss outdoor lanterns will leave a lasting impression on passers-by with stunning beams of light, which are as practical as they are striking. 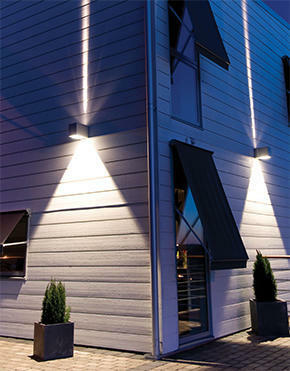 Alternatives like the Canto have a choice of several lighting patterns for particularly striking and bespoke effects.